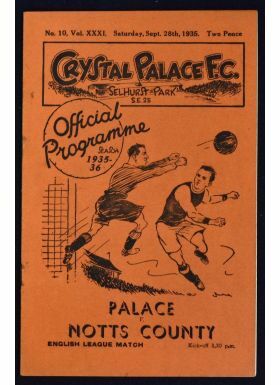 1935/1936 Crystal Palace v Notts. 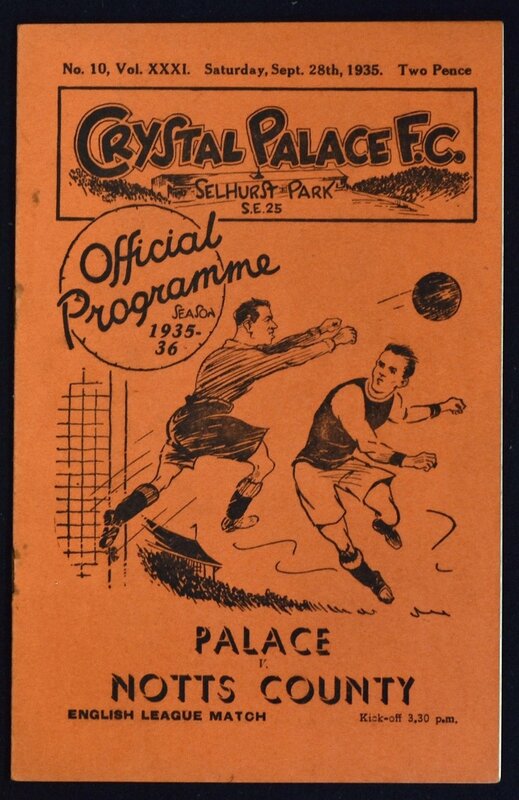 County match programme 28 September 1935 at Selhurst Park. Good. NB: Palace team photo inside.